A complete and healthy disrespect for every aspect of government and society. 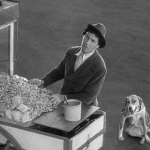 Today’s the “CMBA Passion 101 Blog-A-Thon“, and what that mouthful is trying to convey is that I’m going to be telling you about ‘the movie’ that got me into classic film. I picked Duck Soup because it, more than any other force in the world, is probably why this blog exists and is as close of a thing to my own personal ‘Rosebud’ as there will ever be; if you have no interest in reading about any of this, feel free to skip down to the section entitled “Hail, Hail Freedonia”. I grew up in the southern part of a medium sized Illinois town of about 100,000, which was pretty much surrounded by corn fields for two hours in any direction. My family lived in one of the newer and more obscure parts of the city– my neighborhood had about a half dozen kids in total, and while we ran and frolicked during the summer, the chilly fall and winter were the times for bundling up at home and taking in bad television and old movies on tape. My mother adored Errol Flynn and Gene Kelly, and growing up my sisters wore out our VHS tapes of The Wizard of Oz and Singin’ in the Rain. (And Hook, but that’s neither here nor there.) In spite of sitting through both of these movies many times, I was still just “A Person Who Watches Movies”; while I definitely stopped the channel whenever The Adventures of Robin Hood popped onto WGN or sat in rapt attention for To Kill a Mockingbird with my father on the late night show, movies were always just movies. Frankly, I was more interested in time travel, “Mystery Science Theater” and The Legend of Zelda. But no card games, thank goodness. That changed when it was time for me to find my first real part time job. I’d worked summers before in a cafeteria running registers, but that really didn’t offer me much of any intellectual stimulation outside of trying new and exciting combinations of frozen yogurt toppings after everyone else had gone home. But now it was the school year, and at 16 my dad helped secure me a job at the corner videostore. It was a short drive from my house and pretty much the only movie-related establishment within 5 or so miles. It was a small mom and pop place, run by a pair of 40-year-old chain smokers and owned by a guy who had a few other stores a half a state away, meaning he only came by once a week if that. I was assigned to work Fridays to close and other less demanding shifts– if you think this would have affected my social life, you obviously didn’t know me at 16– and I enjoyed the fast pace and self-reliance, as well as the downtime to mess around and watch movies. Hm, yes, this does have a certain air of familiarity. My dad and I haven’t always had the best relationship. As a kid he always seemed tough and demanding. He was very dedicated to his job (back in the day where you had to wear a suit every day to work as a computer programmer), and he was very into saving money at any cost, two things that truly baffled me as a child. It also wasn’t until many years later that I learned what ‘passive-aggressiveness’ was or that I’d picked it up from him myself. Worse yet, I went through years of athletics at his insistence though I showed absolutely no aptitude or enthusiasm for it. Okay, well, that story may reveal more about me than him, though he’s the one who always tells it. It’s completely absurd on one hand, totally justified on another. And I’m still not certain all those whacks on the noggin did me much good. A few more noggin whacks may do us all some good. My dad loosened up as I got older, and once I started doing professional work– i.e., somewhere not at Barnes and Noble– he knew his job was done and went from being a father to being something closer to an old friend. I admire him a lot nowadays; he’s a good man, a smart man. He’s also friendly, outgoing, and energetic, three things I rarely am. Nowadays I look forward to seeing my dad and talking to him, which is definitely going to grow more rare as I switch continents here in a few weeks. It took me a long time to come to terms with a lot of dumb, childish hangups, and I’m glad that nowadays I can look back at moments like the first time he encouraged me to watch movies like Duck Soup and know that he always cared about me, even when I couldn’t see beyond my own selfish silliness. And there’s your Spielberg movie for today in a nutshell. 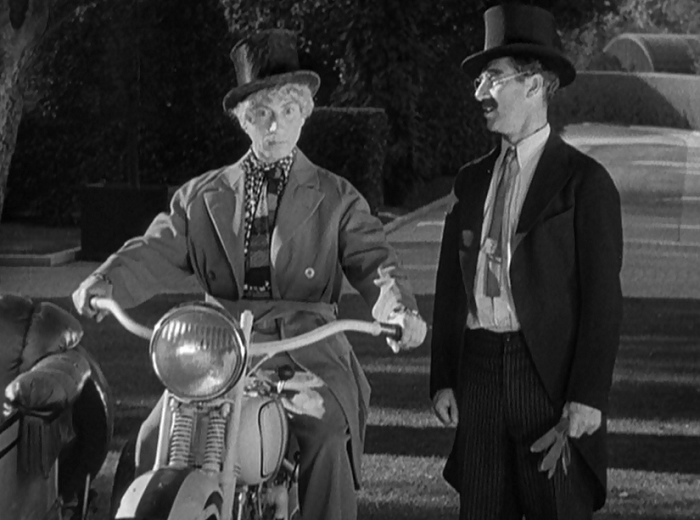 I’d be lying if I didn’t think encountering the Marx Brothers at that point in my life didn’t change things in a thousand different ways, and I’d be doubly lying if I didn’t say that Duck Soup is by far my favorite of the Brothers’ feature films. 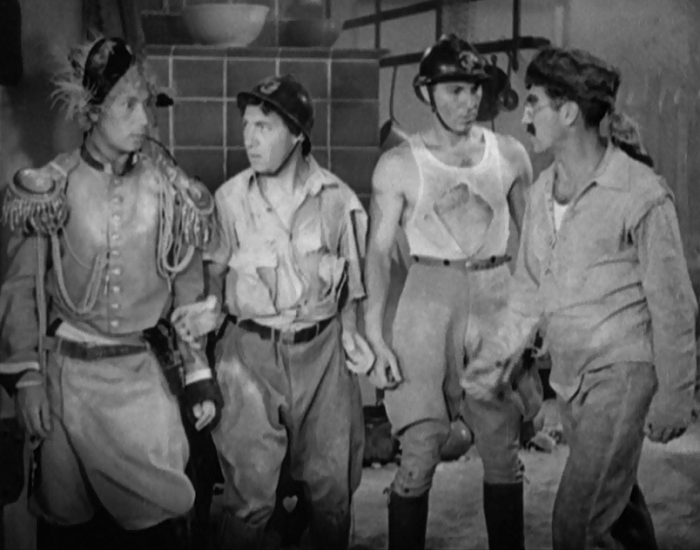 Furthermore, I’ll advocate, like some others have, that the Marx Brothers aren’t a simple comedy troupe, but that their entire act is really a way of approaching the world. There’s no respect for anything, and often the objects of their disaffection are wholly worthy of their scorn– the stuffiness of academics, the pretentious, the rich, the powerful. But there’s little love for more traditional institutions as well– romance, religion, or even what used to be called decency. 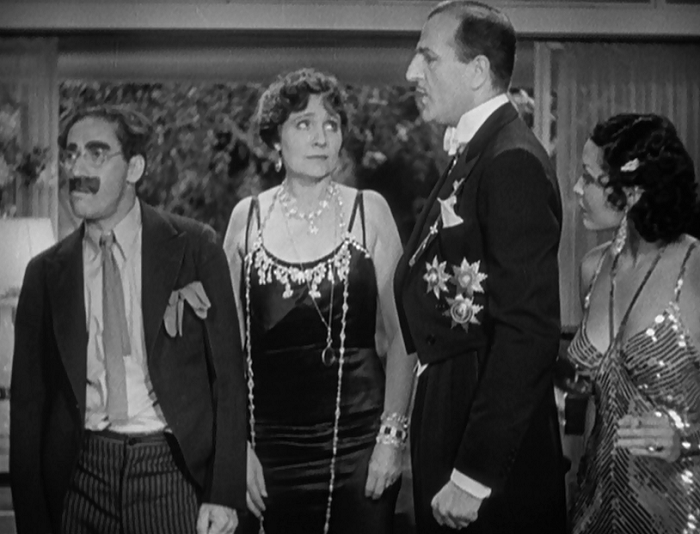 The joy of Duck Soup is that it’s actually gotten better with age, even if the film’s take down of nationalism is snuggled comfortably in the 1930s political reality. The film’s stream of consciousness is an off-kilter bent about what power does to people played to near-improvisational madness– and still pulsates quiet readily in the political sphere of the present. 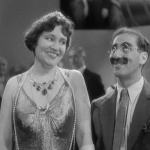 Groucho is Rufus T. Firefly, selected to run the country of Freedonia by a wealthy oligarch named Margaret Teasdale. While it’s hard to believe that the super rich could so easily manipulate the power structure of a country at their whims, Firefly was obviously not picked for his political finesse. As he explains helpfully in his introductory number, “If you think this country is bad off now, just wait ’til I get through with it.” Luckily for him, Mrs. Teasdale feels a bit hot under the collar whenever he shows up. Firefly flirts with her too, once he realizes how much money she’s got. A little afternoon delight, eh, eh. Meanwhile, the unstable government of Freedonia is threatened by their neighbor, Sylvania, run by Ambassador Drentino. He’s ably aided by Pinky and Chicolini, two very poor spies whose techniques rely more on infuriating their prey than tracking them. They’re sent to scandalize Firefly, but through a convoluted mess of wordplay, Pinky becomes his blissfully useless chauffeur and Chicolini is promoted to Secretary of War– after turning down a position in the Mint because he doesn’t like that flavor. Drentino is hellbent on taking over Freedonia, whether it be by seduction, subterfuge, or war, and Firefly is hellbent on escalating things out of sheer spite. The rest of the brothers are too happy to oblige, always concerned with the inaccuracies of language, the women they can ogle, and the amount of havoc they can inflict. Each has their own tics. Firefly embodies pride to its most dangerous degree, Chicolini is a complete self-serving madman, and Pinky is obsessed with emasculating anyone within reach. And Bob, Firefly’s secretary… well, let’s just say that Zeppo definitely gets the short end of the stick this go around. Also, they all have a fixation on hats. Not sure what that means, though. The film climaxes to a complete breakdown of international relations when Firefly, in one of my favorite scenes in any movie, very quickly talks himself out of the simple peaceful overtures needed to prevent war. The assembled general hall of Freedonians break into song, a mix of bravado and mock sympathy for those doomed to die. Though the song’s lyrics and the hushed tones indicate some understanding of the gravity of their situation, the assembled Freedonians still gyrate with orgasmic delight as the glory of battle reverberate through their heads. 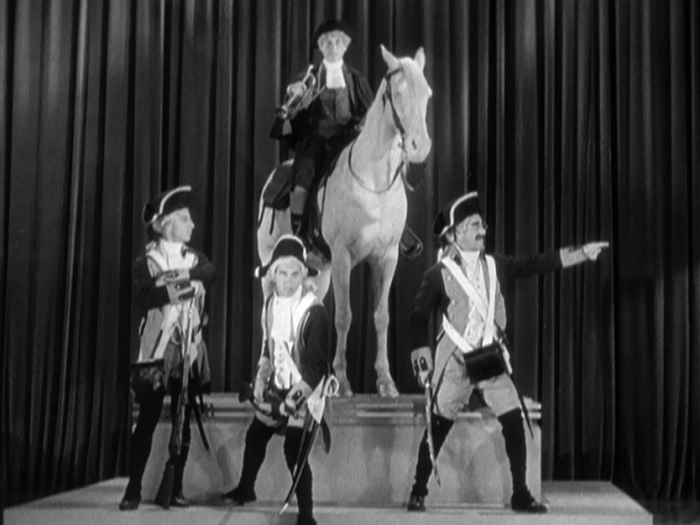 Our main quartet can’t contain themselves either, with Groucho, Chico and Zeppo gleefully using soldiers as a large xylophone while Pinky takes his love of symbolic castration even further, cutting off their decorations as they will soon be cut down on the battlefield. 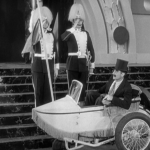 Duck Soup is, in its own odd way, a celebration of the obstinate nature of mankind. 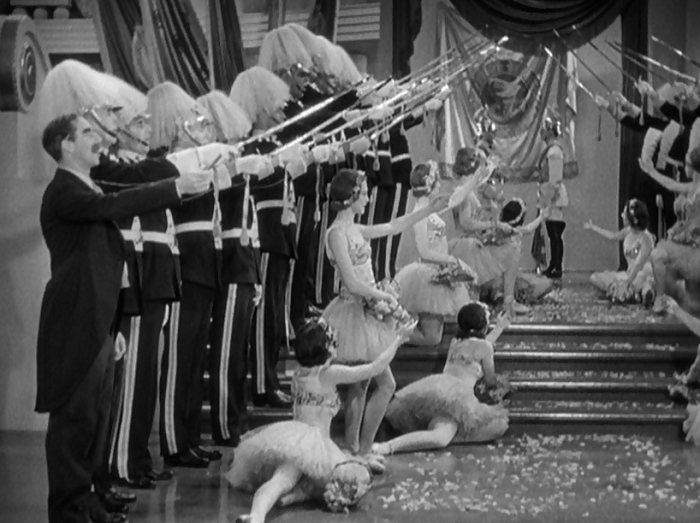 Despite the rather weighty flaws of our main cast of characters, the cause of the problem isn’t fingered in their direction, but, in the film’s final few seconds, at Mrs. Teasdale and her anthem celebrating Freedonia’s victory. The inspiring glory of war. Whether you read that as a torrent of oranges at nationalism or at the oligarchy of the rich and powerful who make self centered decisions with little or no thought, well, that’s your choice. For me, it’s just a final surrender to the insanity. The world doesn’t make sense. It won’t ever make sense. And, man, Mrs. Teasdale’s singing is awful. 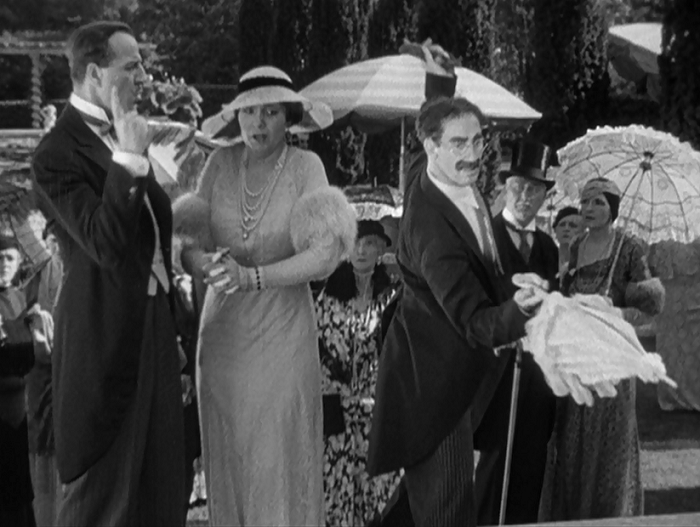 Duck Soup is the most streamlined of the Marx’s films at Paramount, lacking the showstopping harp and piano solos that usually accompanied the features and completely dropping any romance angle for Zeppo this go around– not that I ever really minded those, but I know people who do. 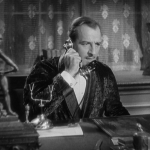 It also doesn’t hurt that director Leo McCarey has shaped the film’s trajectory into a frenetic drive into oblivion; little time is spent dilly dallying once the film hurtles towards its apocalyptic conclusion. I guess we don’t have a bullet train to hell, so a motorcycle driven by Harpo will have to do. 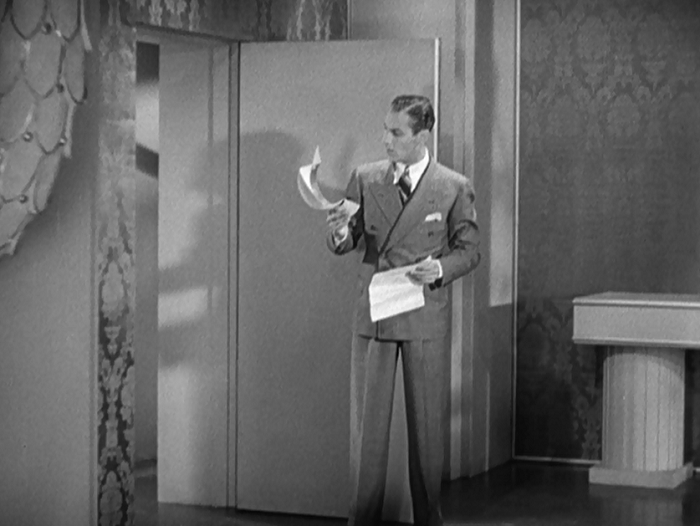 Don’t get me wrong, A Night at the Opera (1935) is one of my favorite films as well, though, watching it now knowing the behind-the-scenes retooling become extremely apparent. As soon as the Brothers begin to play matchmaker, you can’t help but something intangible has been lost. 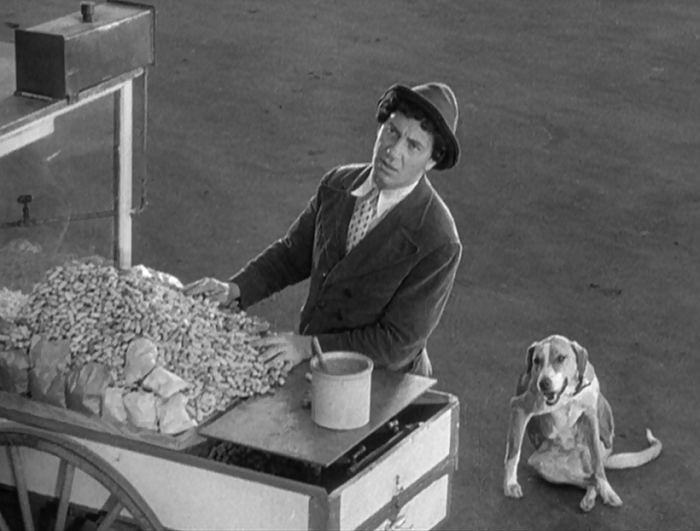 It gets worse with A Day at the Races (1936) and steadily declines from there– showing that, like Buster Keaton before them, MGM could drain the creativity out of any comedy group they wanted to. That leaves Duck Soup as the last will and testament to the old Marx spirit that seemed to take more inspiration from L’Age d’Or than Free and Easy. For what it is, it’s glorious. 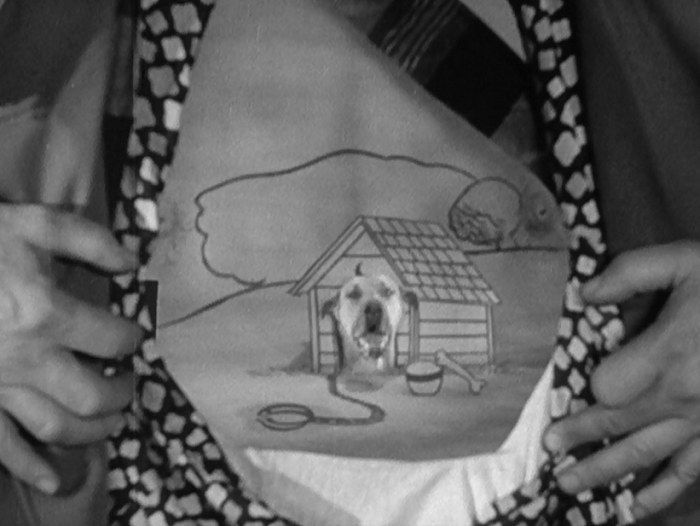 Most later Marx Brothers films did not contain even a minute of dogs emerging from tattoos to bark. 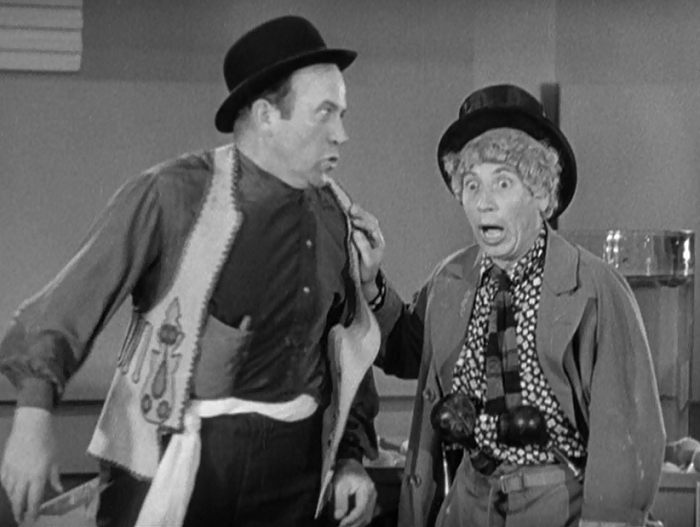 I talked about Zeppo in my review of Monkey Business and Chico when I covered Horse Feathers, so I wanted to use Duck Soup as a brief detour into the most beloved– and most complicated– of the Marx Brothers, Harpo. 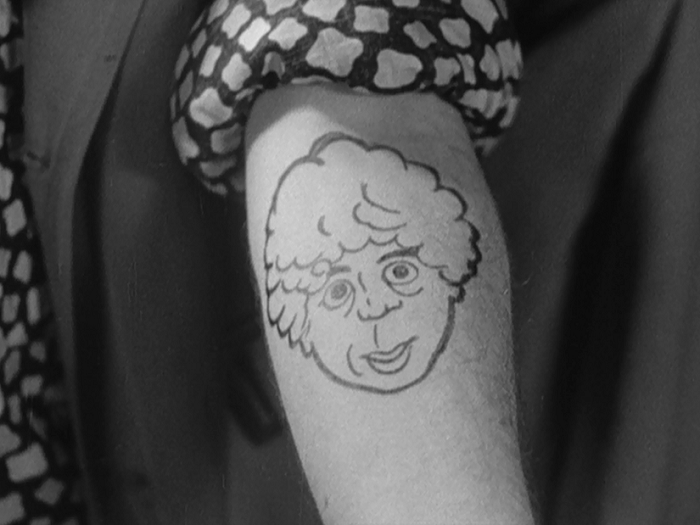 As my wife is fond of noting whenever Harpo starts chasing around a wayward maiden, Harpo Marx can be a creepy little imp. His complete lack of speech erects an interesting wall around the character, turning him into a live action cartoon that reverberates with both childlike glee and cruelty. He’s endearing because he projects an air of innocence; creepy because with innocence comes some stark realities about the pleasure seeking nature of man. He wants what he wants when he wants it. Let’s make sure I make it clear that none of this applies to the actor Harpo himself– better known as Arthur Marx. My readings into his personal life make him seem like a great guy, both a devoted husband and a wonderful parent. Harpo liked the mystique that his quiet character gave him and was lauded and honored the world over for both his prowess as an comedian and as a harpist. He also made a mean lemonade. 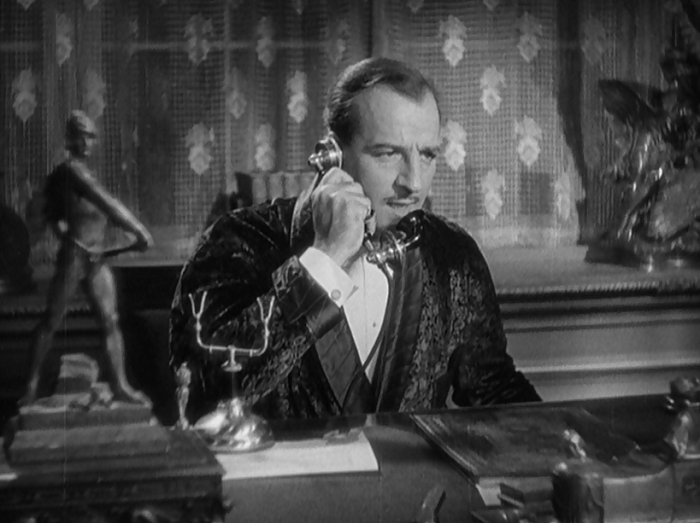 Arthur was 45 when Duck Soup was made, but he never looks it. His Pinky is a little less of a lady chaser here, though it’s implied that he eagerly tries to sleep with the wife of his nemesis, a rival food stand proprietor played by an eternally annoyed Edgar Kennedy. Pinky is entirely an agent of chaos, whose goal is to do nothing more than infuriate those around him, hoping they’ll escalate things and give him an excuse to escalate it some more. Pinky’s love of taking things down a peg makes it doubly funny later in the film where he’s selected to go on a suicide mission due to his inability to protest. (“While you’re out there risking life and limb, we’ll be here thinking what a sucker you are!”) Of course, he turns that around, too, accidentally destroying Mrs. Teasdale’s house with a closet full of poorly placed firecrackers. But you’ll get that. 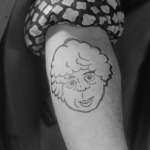 Harpo’s innocence is the perfect countermeasure to Groucho’s disaffected sarcasm and Chico’s wiseguy doubletalk. He’ll also probably be the most eternally beloved– as you see so often in the movies themselves and real life, Arthur’s brilliant ability to portray a child seems to have fooled kids into thinking he was one of them all along. Even when my wife shrieks, it’s usually followed by laughter. When good lemonade goes bad. Even after all of those words, it’s still difficult for me to pinpoint what it is that Duck Soup speaks so deeply to me about. Maybe it’s the history nerd in me that likes seeing international relations so pointedly mocked. Maybe the film’s just damn funny. Or maybe, to a teenager in the middle of nowhere, it unlocked a whole new world, converting me from “A Person Who Watches Movies” to “A Big Ol’ Movie Nerd”. Whatever the reason may be, I have to end with this: thanks, dad. Today’s entry is part of the superlative CMBA Passion 101 Blog-a-Thon, with many other classic film writers talking about what films inspired them. Definitely check it out! 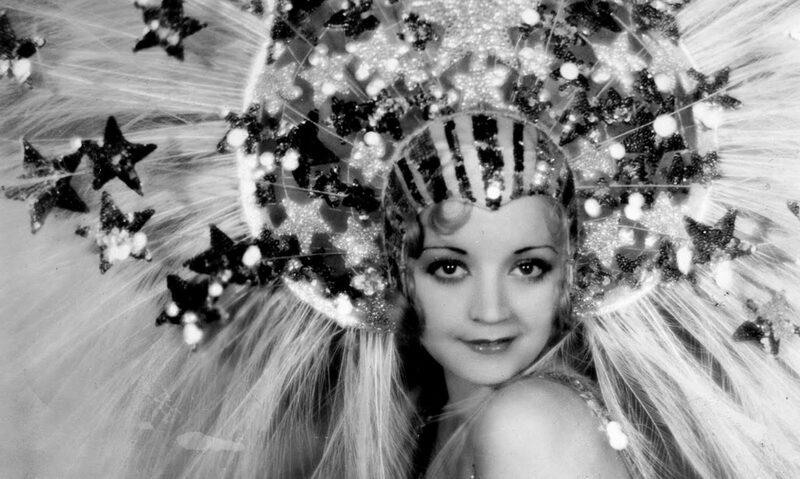 This is one of the most famous movies of pre-Code cinema and (understandably) one of the most beloved comedies of all time. Since it’ll be harder to find critics who haven’t written about this movie than those who have, I’m going to cut this section a little short this week. If you want to learn a lot of background info about the movie, check out Hail, Hail Euphoria by Roy Blount, Jr., an entire book dedicated to discussing the film’s creation and legacy. It’s a good, quick read. A motley group of men. One important note: this is the censored version of the film. Like the rest of the Marx Brothers pre-Code films, these were popular for re-release and had to have sections removed to keep with what was considered okay for audiences after censorship kicked in post-1934. Hence if you notice the film being a bit choppy, you can thank the censors for that. I guess I’ll be eternally damned if I don’t point out that this is the movie that Woody Allen’s character goes to see in Hannah and Her Sisters (1986) that restores his faith in humanity. Roger Ebert included this among his Great Movies series. My friend Jacob and I still do this to each other every once in a while. It’s not weird, I swear. 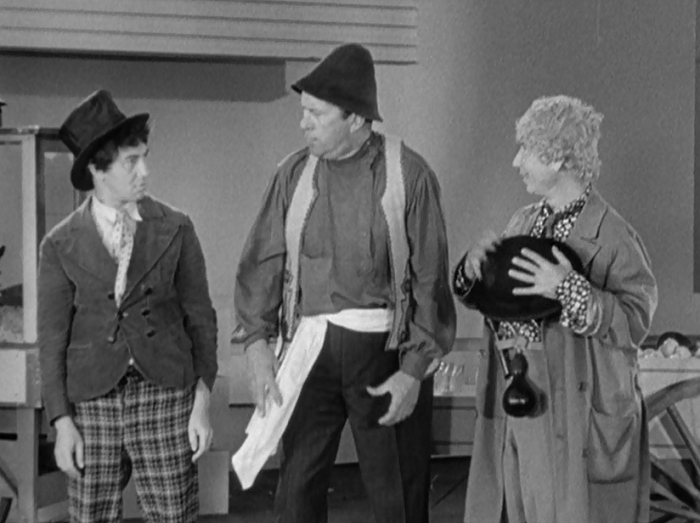 In terms of box office, Duck Soup wasn’t quite the flop of legend, turning a modest profit, but nevertheless grossing less than any of its predecessors. 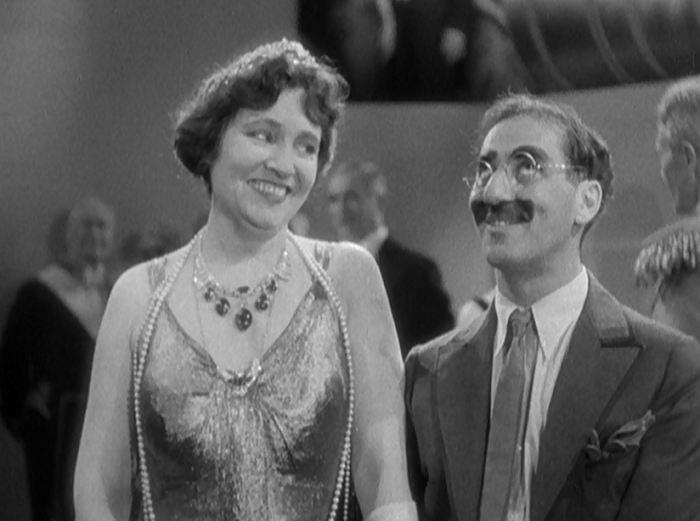 Ironically, we most desperately seek meaning at those moments when the world most forcefully reminds us that life has no meaning, and in 1933, as the world teetered at the edge of the abyss, audiences had no taste for Duck Soup’s bitter recipe. Because let’s face it, while at first blush Duck Soup is delightfully silly and absurdist, its underlying riff—that our leaders are fools, that our institutions are corrupt, that young men and women die in wars for no reason, and that, above all, people are born to torment each other without hope of ever getting along—is as bleak and jaundiced a world view as Hollywood ever committed to film. That’s not a message a paying audience is prepared to receive on an empty stomach, and in 1933, there were plenty of empty stomachs to go around. 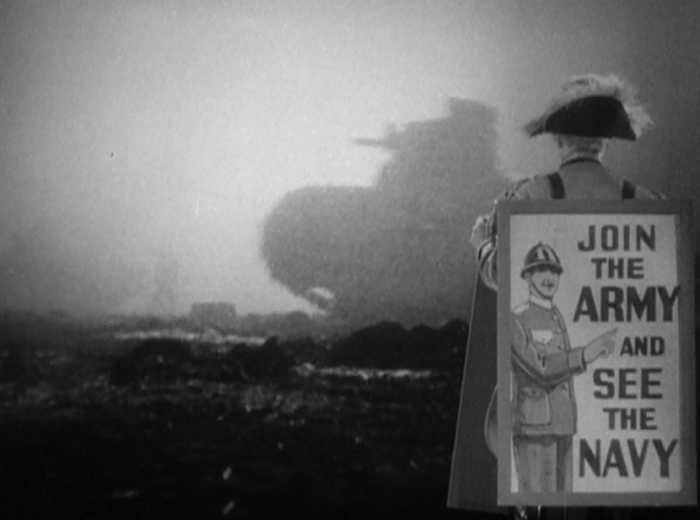 I’ll never forget the first time I saw Duck Soup. My parents just couldn’t understand why I would be interested in “that kind of movie” and I guess there are just some things you can’t explain to the folks. Plus, it’s the source of one of my favorite bits: “I got a good mind to join a club and beat you over the head with it.” Great write-up! Oh, Danny…believe me…there’s no offense with regards to the ‘rents. They put the “fog” in fogies. Just wanted to say the Marx Brothers had a huge impact on me too, so I know exactly where you’re coming from. “Horse Feathers” was my first. It taught me everything I needed to know about life and I’ve been applying its lessons ever since. Not to mention it was the Marxes that directly inspired my own career as a comedian, so they completely changed the course of my life. Oddly enough I didn’t see “Duck Soup” until many years later despite devouring most of their movies shortly after “Horse Feathers”, but it was worth the wait and is still one of my favorite comedies of all time. That’s a great story, Andrew. And that’s a great line, too. There was also one of my favorites, “Remember, men, we’re fighting for this woman’s honor, which is probably more than she ever did!” It took me way too long to understand that one. In all honesty Duck Soup was one of many Marx flicks I saw when I rented a bunch from Blockbuster back in the early 90s. Oddly The Cocoanuts wasn’t out on VHS yet, though it came out maybe a year later. It was part of a triple feature of Monkey Business, Horse Feathers, and Duck Soup that night. I didn’t think at the time it was notably better than the other two, maybe a bit. All 3 are classics. 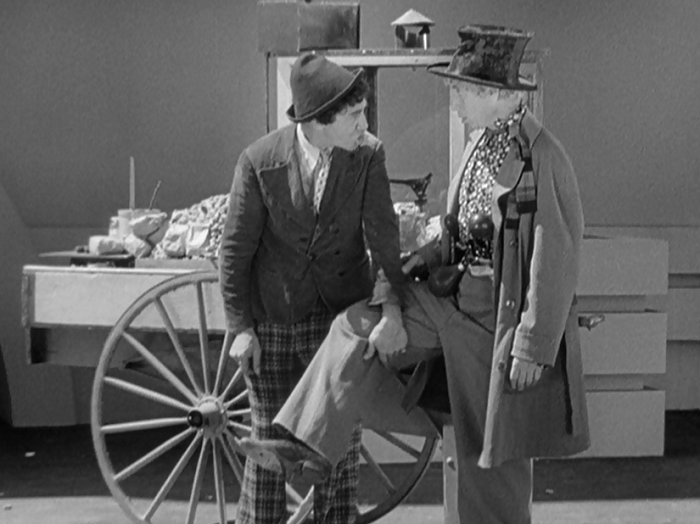 I think Duck Soup feels the most coherent somehow– Monkey Business kind of suffers when they’re off the boat, and Horse Feathers always feels kind of start and stop. 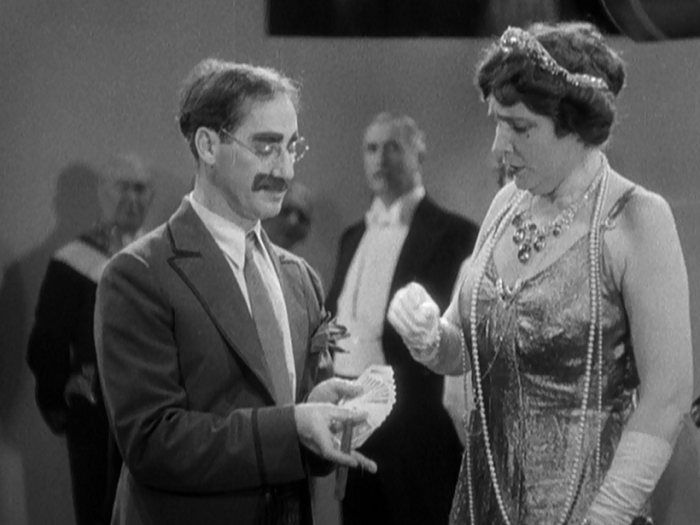 But Duck Soup just barrels through everything, and I love it for that. My Marx Bros. origin story is similar to yours, thanks to our fathers. Excellent piece. Allow me to boast that I was unofficially adopted into a a friend’s family because of my ability to do a gookie. I liked everything about this post – your revelations and your inspired movie choice. You can’t trust anyone who doesn’t get a kick out of Minnie’s boys. You just can’t! Too true! I have a wedding photo where my best man tricked me into putting his leg into my unsuspecting hand. Truly the best of times. Fabulous review! My first Marx Brothers movie was Monkey Business but Duck Soup is definitely my favorite. I too felt that the lack of piano/harp/romance made for a faster, funnier film. It’s weird because I don’t mind the performances that much– I think in Horse Feathers and Night at the Opera they actually are some of the better bits in the movie. But I think Duck Soups just doesn’t ever feel the need to showcase everyone’s talents, and that helps make things much more smooth. Danny, you are so lucky to have such a great dad who turned into a great friend and who urged you to watch the Marx Brothers! I suspect he knew all along it was something you needed. There is something wholly therapeutic about Duck Soup, isn’t there? One of my favorite movie scenes of all times is in Woody Allen’s “Hannah and Her Sisters” – a scene from that movie convinces him that life is worth living. Amen. Great post! There have been a few “Spielberg movies…in a nutshell” shared during this blogathon. I enjoyed yours. Thank you so much. When I grew up the only place that showed movies on our local stations was PBS, and it was mostly things like To Kill a Mockingbird or other very serious black and white movies that I did not understand. That’s the great thing about old movies: some have gotten funnier with time. This is a wonderful post – a tribute to your father, your youth and the Marx Brothers. I loved the picture you presented of sitting alone at the video store, eating the Twix bar and watching movies. That in itself would make a good movie scene. 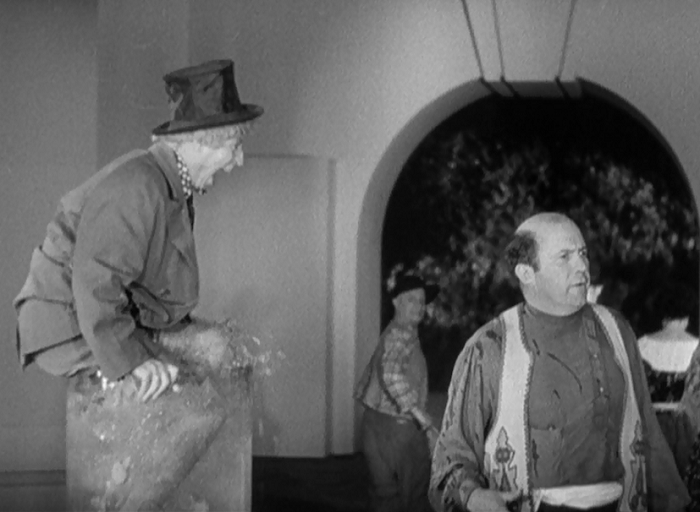 There has been an unusual array of films in this blogathon, and I’m glad the Marx Brothers made an appearance because they were/are so influential. I have to say Groucho is my fave; I have always admired his fast delivery of wit. 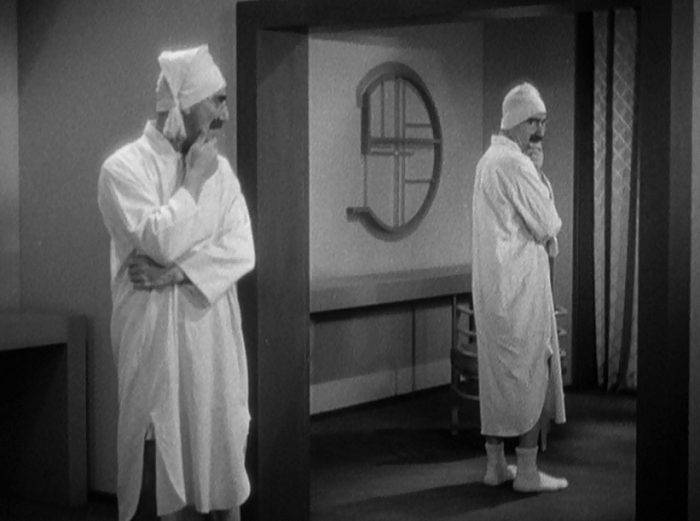 You mention that Duck Soup is the most streamlined of their films but that is what I love the most about it. Such beautifully written words on this very funny and pointitive film. A highly enjoyable read and an opportunity for me to get to know a bit more about your background. The things you wrote about your father were very touching. Thanks for sharing that with us. You picked a very clever film and one I know has drawn many into the world of classic comedies. It’s definitely a gateway drug. Thanks for the kind words! A terrific post, Danny. 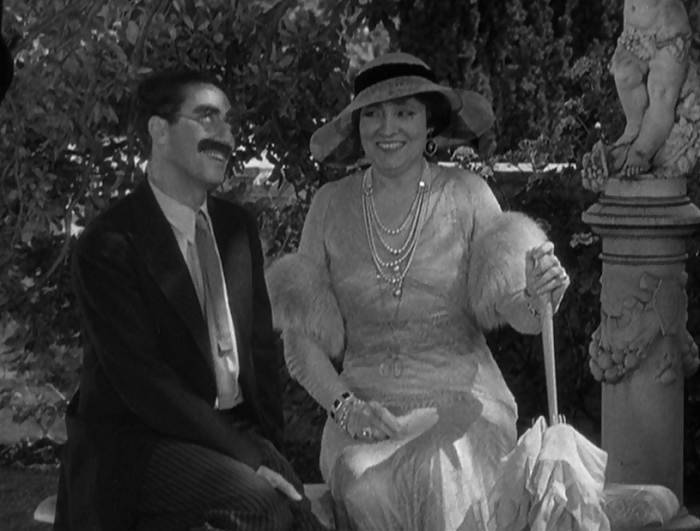 You had me with your description of DUCK SOUP as your personal Rosebud. DUCK SOUP is also my favorite Marx Brothers, one that doesn’t get weighted down with too much music or too many other performers (just give me the bro’s!). Your description of watching movies in a video store reminded me of Quentin Tarantino. Hey, it worked out OK for him and now you have a cool movie blog. I’m thinking more people should have spent their nights working in video stores…. If they can find a videostore around still, let me know! As a student of the Marxes, I have never read any info pertaining to the film being cut after initial release. 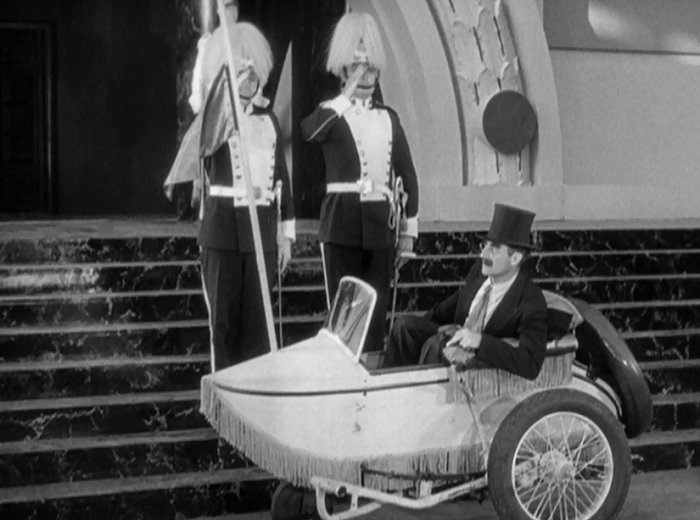 By all indications, “Duck Soup” exists now as it was when it premiered. 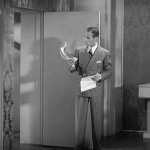 Yes, McCarey was a bit sloppy in his edits and directing, but nothing has been cut since. If you have evidence to the contrary, please let us know…this would be HUGE news in the Marx fandom. Previous PostPrevious Barbara Stanwyck at the Film Forum in December 2013!